Nike announced a competition in October 2016 called the Nike Ease Challenge where contestants were to submit concepts of a shoe anyone, despite any obstacle, could slip their foot into. The winner of the competition was Brett Drake. 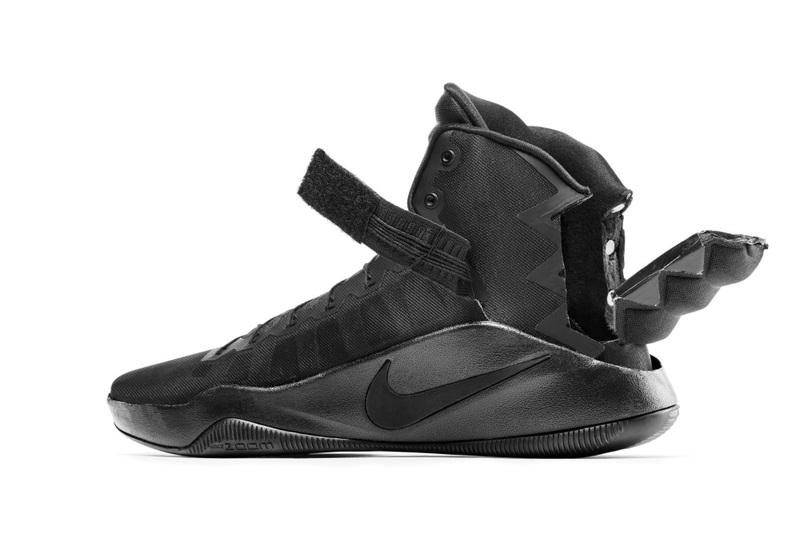 Drake used the design of Nike’s 2016 Hyperdunk shoe and modified it to include a rear-entry system. The system would use lightweight magnets to allow someone to pull the end down, similar to a drawbridge, and slip their foot inside without having to force it in. As the winner Drake receives a $50,000 prize and has the opportunity to see his shoe get created by Nike. Nike has Drake working with them on testing the design of the shoe as they work together on the prototyping stage.